No one know how far it goes. Both Moana and Lilo & Stitch are Disney masterpieces. And, according to YouTuber CruellasFurCoat, there’s a mind-blowing theory that connects both movies. As the theory explains, Maui lived for a thousand years before he met Moana, which means it’s completely plausible that he could live an additional thousand years, putting him in the same era as Lilo. In Lilo & Stitch, Lilo was late to her hula class because she was paying a weekly visit to Pudge, the fish, to bring him a sandwich. When asked why she visits him, she says it’s because Pudge controls the weather. We know that Maui is a demigod, a ruler of the wind and sea, and can lasso the sun with his hook (i.e., he has pretty good control of the weather). And we know he’s a shapeshifter who’s capable of transforming himself into fish. So what if Maui shape-shifted into Pudge to look after Lilo? Why would he do that? Well, in Lilo & Stitch, we find out that Lilo’s parents died in a car accident on a rainy night. 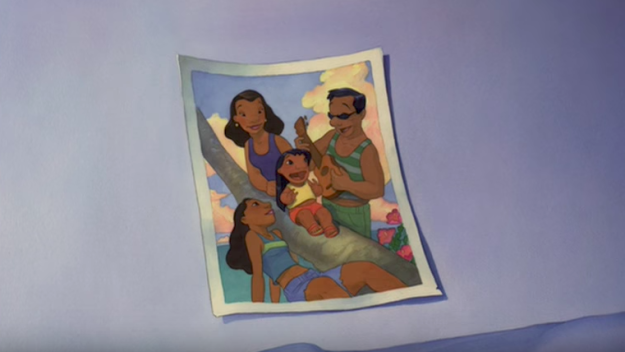 Because it was a rainy night and Maui has control of the sun, the wind, and the sky, could Maui be watching over Lilo because he had something to do with the bad weather that killed Lilo’s parents? Maui is mischievous and often careless (like when he threw a boat on Moana and repeatedly tossed her into the ocean). What if his “just messin’ around” went too far and contributed to the death of Lilo’s parents? Maybe he feels so bad, he’s taken it upon himself to look after Lilo. And what if Lilo constantly visits Pudge because she knows he controls the weather, and she wants to prevent her family from further misfortune? It all makes sense. Who knew such a little peanut-butter-and-jelly-loving fish could be at the center of something so revolutionary?